M.I.B could use fewer abbreviations in their unusual debut. There’s a new abbreviation-inflicted rap group in town, and their name is M.I.B, which stands for Men In Black Most Incredible Busters. Um. Good luck figuring out what that means. They’re from the hip-hop/R&B company Jungle Entertainment (of Leessang, Tasha Reid/Yoon Mi Rae, Drunken Tiger, etc. ), and they did something very unusual with their concept: debuting via solos (called “spin-off solos”), then coming together as a group and releasing a music video. Let me just start by saying that I love this concept. Doing it in this order meant that I knew all the members’ names, and even felt like I knew their personalities as performers a little bit, when I watched the group video. It also proves that the members can stand on their own individually. That’s exactly what I want in a debut, and it was done impressively. By far and away the best of the M.I.B solo songs, “Beautiful Day” has a catchy chorus with a wicked little riff that I love, that “dugo bwara, dugo bwara,” part (“Just watch, just watch”). This song when paired with the video reminded me strongly of Tinie Tempah’s “Written in the Stars” and Eminem’s “Not Afraid.” Musically, however, I think I actually enjoyed this more than the latter, and almost as much as the former. I think I will get this song if I can. It’s very impressive and memorable. This song was more awkward. The chorus is okay: “Do you like me? Ne mamdaero” (“however you want”), but the video was boring and kind of shady, with Cream following a girl to a house party and then asking her if she liked him when clearly she did—they were hanging out the whole night. There was also an annoying watermark of Cream’s name on sections of the video, which I might appreciate if it were a group debut video, but on a solo MV, I’m pretty sure I know who the artist is. Also, what was with that weird color filter where it blurred the sides and made them rainbow-y? I didn’t get it or like the song very much. Should I call SIMS the Glasses King or Subway King or just make lame The Sims jokes? So many choices. Anyway, this is a dance party track that takes place entirely in a club—oh. Um, so it takes place entirely on a subway train. Well, this is weird. I guess you could get “down down down down down” on a subway, but wouldn’t it be more comfortable in a club? Anyway, although 2PM did it better (obviously), I found this video presented SIMS well and makes him out to be a likeable guy. I also enjoyed this vid because the other guys in M.I.B made amusing cameos. But the little kid in the video stole the show. Note: I probably wouldn’t watch this MV if you’re prone to seizures. The amount of flashing lights towards the end here started to give me a headache. Finally a normal name! Though each of the four songs is noticeably different, with a variety of genres represented, this one is the most out of place. I missed the hip-hop element and ended up really disliking this song, which is some kind of slow rock with Kangnam’s voice overly autotuned, especially at the beginning. It picks up a little, but there’s still something unsettling and off about it. 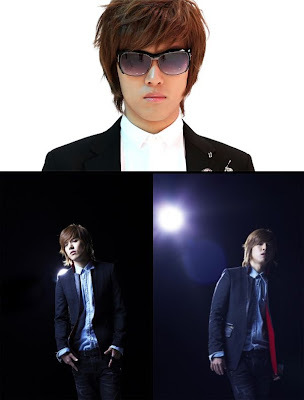 I think that Kangnam is half-Japanese, half-Korean, and it makes him probably the best-looking member of M.I.B. It’s kind of weird, though. For me he looks absolutely gorgeous from some angles, but really awful from other angles. Anyway, during the video he gets his own band behind him, as well as a Doberman Pinscher. But I love the huge teddy bears, so perhaps all is forgiven. Oh, yes. It’s not enough that their name is an abbreviation and three of the members have nonsensical names; it’s now necessary to put abbreviations in the actual debut song, too. Sigh. They’re lucky it’s so catchy. But regardless of the amount of abbreviations, it’s a toss-up which of the debut songs I like better, 5Zic’s “Beautiful Day” or this one in terms of catchiness. The underlying beat and groove reminded me of 2NE1’s “I Am The Best,” and the electronic voice throughout reminds me of the “Don’t lose your temper so quickly” voice in T-ARA’s “Bo Peep Bo Peep.” I like both those songs, so it makes sense that I’d enjoy this one, too. But for all its catchiness, I don’t think that it really gave the members a chance to showcase their vocal talents, which I suppose is why they released all the solo spin-offs. The music video is like an MTV vid from the early 90s, complete with colorful bubble TVs. Also, “dreams” consistently sounds like “drinks,” making the title “Girls Drinks Money” (which is probably more accurate, anyway). So all in all, an unusual and impressive debut. I would like to see more of their group dynamic, but it was interesting to see their talents as solo artists so early in their careers. 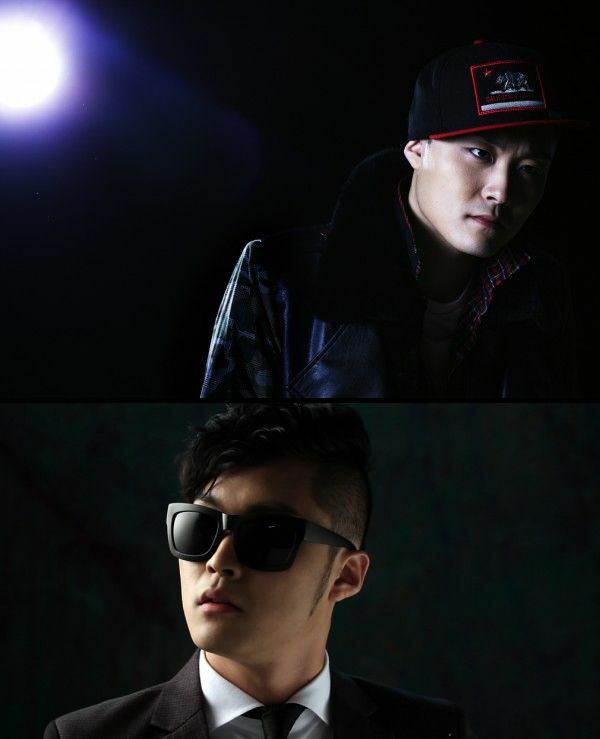 5Zic and SIMS in particular sound very promising. 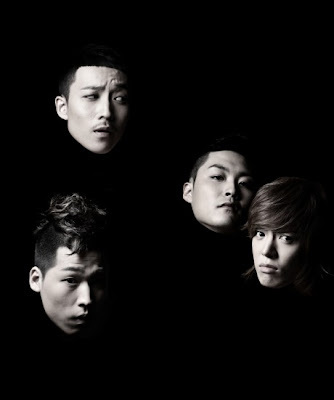 (Clockwise, starting at the bottom left:) Cream, 5Zic, SIMS, and Kangnam. A big congratulations to BIGBANG for winning “Best Worldwide Act” at the MTV EMAs! What an achievement! Thanks for reading! Please share your comments below! I only liked 5Zic's song from this tutti-frutti.